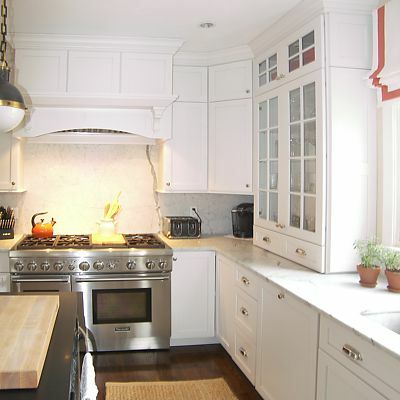 Classic New England styled cabinetry is timeless and welcoming in white. Glass door cabinetry flanks the sink, giving the area visual interest. 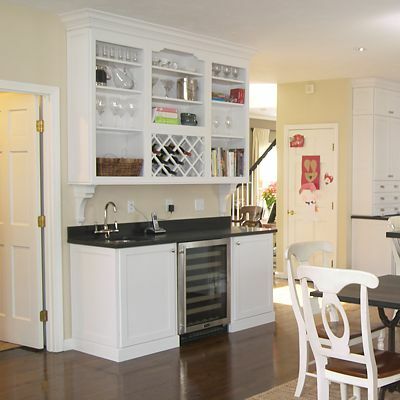 There is plenty of closed cabinetry to hide away the usual clutter of pots, pans, groceries, etc. while making everything easily accessible when needed. Looking at the various angles of this room, you can see there is an enormous amount of storage space in this well-designed kitchen. 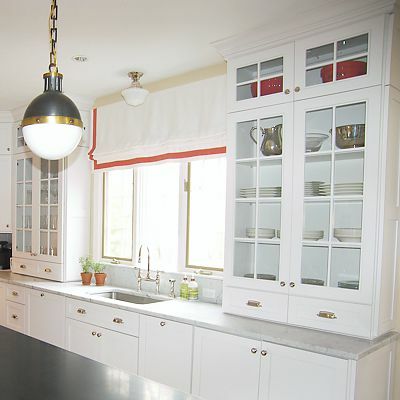 Amy gave the homeowner everything they needed, with a white finish that keeps the amount of cabinetry from feeling overwhelming. 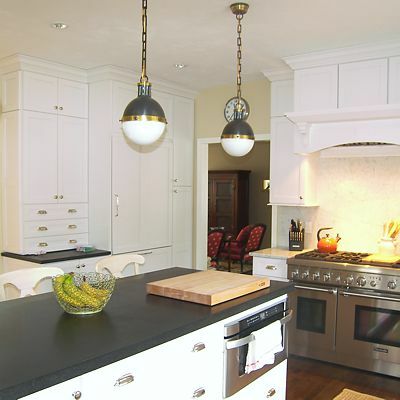 The island has storage and an under-counter microwave oven on the side facing the sink. 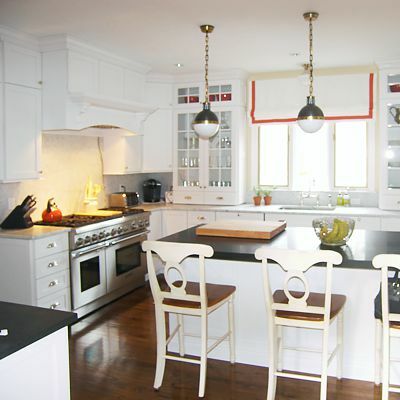 The other side easily seats three for casual meals, or to visit while cooking. The professional size stove indicates that large meals are often prepared, and there is plenty of surrounding storage to keep everything handy when cooking. The wet bar built-in next across from the dining area provides visual interest with open shelves to store glassware and wine bottles. Plus it includes a prep sink and wine refrigerator. Everything needed to entertain in style. 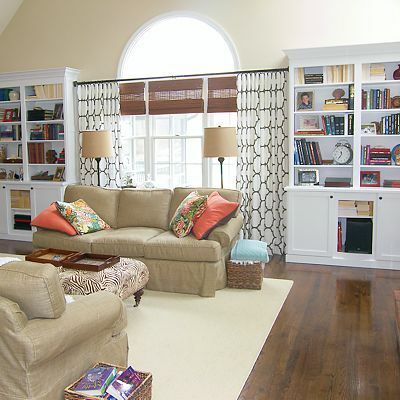 The built-in bookcases in the adjoining family room are also made in the same style in white with mouldings, tying the rooms together visually.